The Ivey Awards Show honors the rich diversity and talent of the renowned Minneapolis theater community and serves to recognize outstanding achievements in various disciplines such as direction, performance, and design. The, “A Play on Words. Awards on Play.” campaign acknowledges language common to a stage experience and then reenacts it in spectacular, theatrical mini-vignettes. 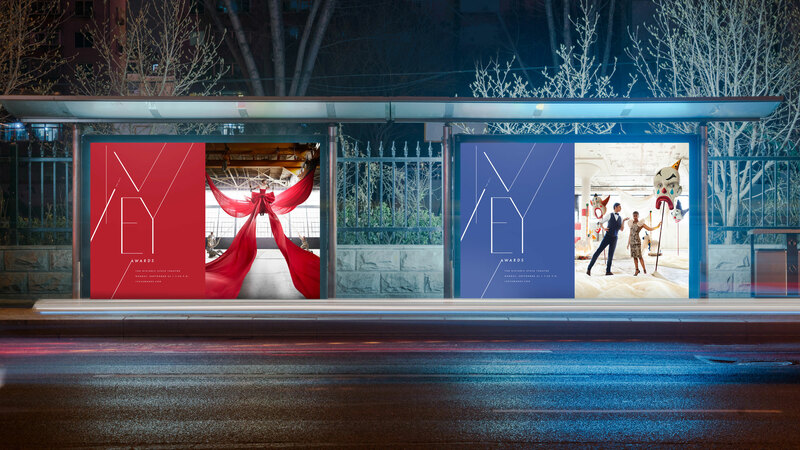 The fantasy played out across a variety of print and digital executions in this integrated campaign which brought the term, “Taking a Bow” to new heights. Agency: Knock Inc.